Strasburg went 15-6 with a 3.16 ERA in his 1st season back from Tommy John Surgery. He also racked up over 11K/9IP. This was all in just 160 IP due to his innings restriction which should be lifted in 2013 making his impact even greater. First let’s delve into the Nationals pitching rotation. 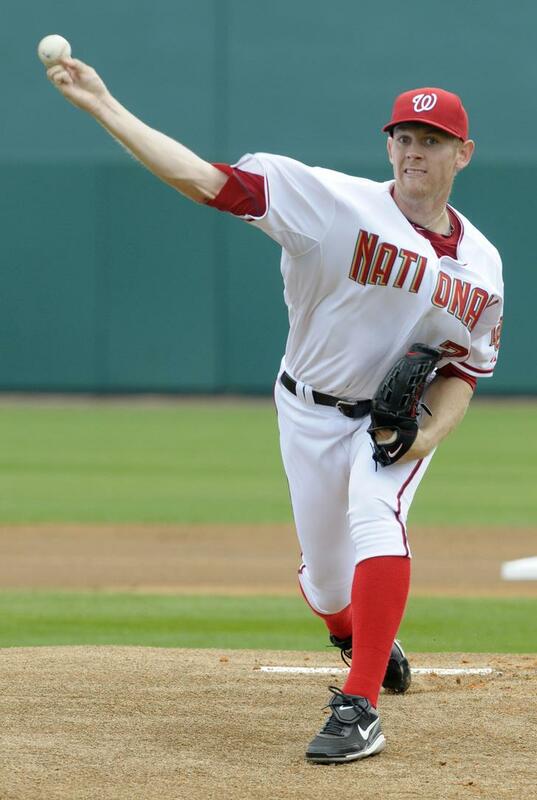 An obvious debate of 2012 was surrounding Washington’s young ace Stephen Strasburg, and whether or not to shut him down right before their playoff run. It was his 1st full season back after Tommy John surgery and the Nationals didn’t want to risk such an important part of their futures health which is understandable, so they shut him down. Hindsight is 20/20, but Strasburg could have made a big difference in the playoffs, and in 2013 he should be able to do that without having a strict innings limit like he had this past season. Gio Gonzalez is going to be important in 2013, hopefully repeating the stellar season he’s coming off of which saw him rank 1st in the NL in wins (21), 6th in ERA (2.89), and tied for 4th in Strikeouts (207). With Strasburg and Gio, the Nationals should have two aces to depend on this upcoming season which bodes very well for them. The rest of the rotation is where the bulk of concerns lie. Jordan Zimmerman had a great 1st 4 months for the Nats in 2012, but tailed off towards the end of the season. If he can be that guy everyone saw in the beginning of 2012 for a full 2013 campaign, he will be a great number 3 in the rotation. Newly acquired Dan Haren is a high upside addition who has proven he has top of the line stuff, but comes with concerns about his health. He’s on a 1 year deal so it is imperative for him to stay healthy and pitch well this year to have value going into next free agent market, and the Nationals sure hope that’s enough motivation for him to stay on the field. If all goes as planned, that is a strong top 4 for the Nationals. To round out the rotation, Ross Detwiler gave them some real quality innings last year, and looks to do that again in ’13. Detwiler is a truly underrated pitcher whose role could be as a vital innings eating number 4 starter if things don’t work out well for Haren. Detwiler tallied an impressive 3.40 ERA in 27 starts in 2012, pretty good for a back of the rotation starter. Adam LaRoche has hit 20 HR+ and added 78 RBI+ in 8 of his 9 MLB seasons. He is one of the most underrated players in the last decade. The Nationals have some great bullpen pieces. They would definitely be in the running for best bullpen in baseball at this point. What they do have is a multiple closing options. 1st in line is newly signed Rafael Soriano. It took them a 2Yr/28 Million Dollar contract and a draft pick as compensation to the Yankees to sign him, but he is one of the top relievers in the game. He Saved 42 games with an ERA of 2.26 last year for the Yankees. Then there is Tyler Clippard who is probably in line for a setup role now. Clippard had a solid 2013 Saving 32 games, but more notably giving them 74 Appearances, proving his durability. Drew Storen another late innings reliever will need to have a bounce back year after pitching fairly well, but missing a good portion of the beginning of the 2012 season after having elbow surgery. Other notable arms in the pen that had good 2012 outings and hope to continue their success include Craig Stammen and Ryan Mattheus. I also like Christian Garcia going forward in a middle relief role. He has had a long journey through the Minors, but has proven himself to be a very good reliever while there, and should be solid in the Majors immediately. While this bullpen is great, they did lose Sean Burnett to the Angels in free agency. One of the teams main setup guys will be missed although I think the players they have can fill the void if healthy. As a whole in 2012, the Nationals pitching staff did lead the NL in a few categories including team ERA and WHIP. The 2013 Nationals lineup isn’t one that will be vastly different from 2012, but improvement is evident. The Nationals have successfully re-signed Adam LaRoche which was a top priority this off-season as he led the team HRs (33) and RBI (100) this past season. 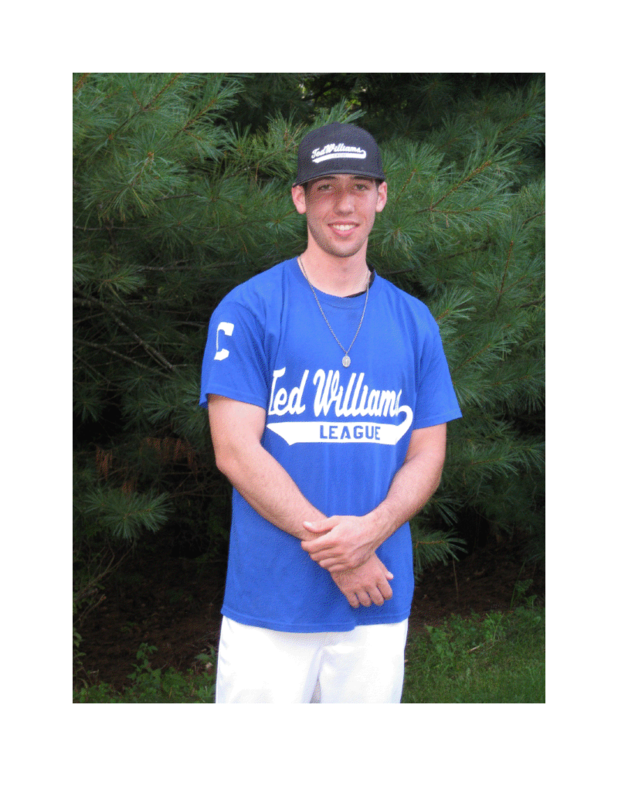 He is their best power threat in the heart of the order, not to mention he plays a great defensive 1st base. With LaRoche back in the fold the Nationals traded away Micheal Morse for some prospects, which was a good move considering Morse only had 1 year remaining on his contract and was without a starting position anyways. While the 2012 Rookie of the Year winner Bryce Harper had a nice rookie showing this past year he will need to continue to grow and mature as a player to really drive this team to another level, and the Nationals have added a player that should help this process. The Nationals recently went out and got themselves a well-rounded center fielder to play alongside Harper and Werth in the outfield. Denard Span, who plays a very good Center-field, while getting on base and using his speed to his advantage in all aspects of the game, is also the lead-off hitter the Nationals needed. Speaking of Werth, the 3rd piece to this outfield, he really is the question mark of the 3. We know if he’s in the lineup he will produce, but will he be able to stay healthy? He played in only 81 games last year and with this Washington lineup really taking shape around him, he could cash in with some huge numbers if he is in the lineup. He may even start to remind you of his Phillies days when he put himself in position for the nice fat contract the Nationals gave him. In the middle infield, the Nationals still have their young blood tandem in Ian Desmond and Danny Espinosa. Desmond had an exceptional 2012 season hitting .292/.335/.511 from a position in Shortstop that is not usually a highly productive position offensively. 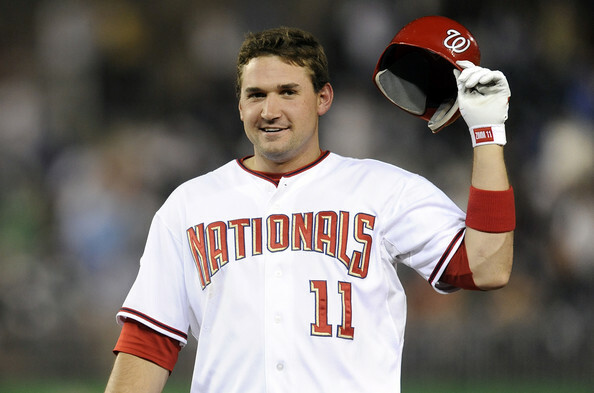 Ryan Zimmerman has been the face of the Nationals franchise not too long after his debut with the club in 2005, the year they made the move from Montreal. This was also the same year he was drafted in the 1st round by the club. He has been a model of consistency through the good times and more predominantly the bad for Washington. Espinosa didn’t fare as well hitting .247/3.15/.402, but I think you can mark down an improvement from each of them for the upcoming season. Then at 3rd Base you have Ryan Zimmerman, who had a Silver Slugger type second half of 2012, and is just another reason this Nationals lineup could be lethal, because it’s so deep. At the Catchers spot one would hope Wilson Ramos can recover from a pretty devastating knee injury as he is the real future for the team behind the plate, but Kurt Suzuki is a nice option to fall back on until Ramos is ready. If Ramos is back in full force by the All-Star Break, maybe Suzuki could supply trade bait for reinforcements the Nationals might need along their way to a playoff run. While all signs point toward a successful 2013 year for the Washington Nationals, there are some roadblocks that could stand in front of them. While the pitching staff is great, it will need to stay healthy and log a good amount of innings for another year which is tough to count on especially with Strasburg and Zimmerman coming off recent Tommy John surgeries and Haren’s injury past. This may put a lot of pressure on the bullpen to repeat performance of last year without a key link in Burnett. I however, would be on the optimistic side as far as the pitching is concerned as I think they have addressed what they needed to this off-season in order to make the staff successful. Another challenge is that the NL East is still a good division. The Marlins may have traded away any shot at making a run for the division, and the Mets are in rebuilding mode, but that doesn’t mean they will just hand the Nationals wins. I do have to say the Mets could play tough as they have some good young building blocks not to unlike how the Nationals rebuilt their club, and they just landed some more with R.A. Dickey being shipped to the Jays in exchange for Travis d’Arnaud. The Phillies, however, are a veteran team who will look to make a last run at getting another ring, and the Braves have went out and made moves to try to overtake Washington in the division. It is probably a 3 team race for the division, but a strong 3 team race at that. One last thing that makes the Nationals serious contenders to make a run at the 2013 World Series is their depth as a team. 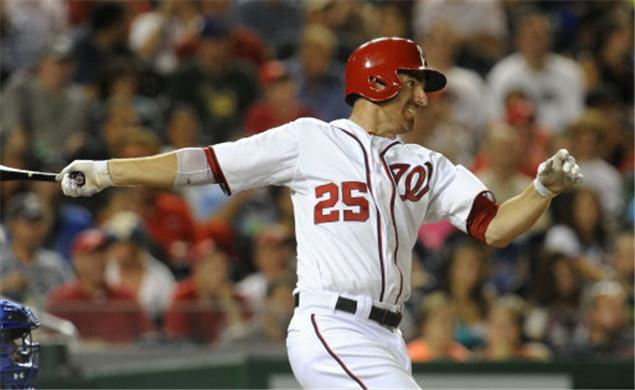 The Nationals question marks could be answered by their farm system if needed in ’13. Prospect Chris Marrero could be a good option at 1B behind LaRoche. If Werth has another injury plagued season Eury Perez could also fill that void as well as possibly even Destin Hood if he can bounce back from injury. As we talk injuries, if Wilson Ramos has any setbacks, Sandy Leon could help out behind the dish alongside Kurt Suzuki who essentially sent him back to the minors last year. Stephen Lombardozzi is a solid Utility Infield backup who had success in a fairly regular role in 2012. Finally you can take a look at Anthony Rendon and Brian Goodwin a top Third Base and Outfield prospect respectively who are probably a solid year away from being able to contribute significantly to a Major league lineup, but that is just a guess. The two prospects could see Major league action sometime this season especially if they play well and the Nationals have a need due to injury. The Nationals have a very good rotation, bullpen, and lineup, which leaves one to question where they really have a weakness. I don’t see any glaring ones, so 2013 looks like it could be as good, or better than the 2012 for Washington. Despite missing a month plus of MLB Action due to a May Callup. Harper still scored 98 Runs in 2012 en route to a NL Rookie of The Year Campaign. Posted on March 7, 2013, in MLB Teams: Articles and Analysis, The Rest: Everything Baseball and tagged adam laroche, angels, anthony rendon, blue jays, brian goodwin, Chris marrero, christian garcia, craig stammen, dan haren, danny espinosa, denard span, Destin Hood, Eury Perez, gio gonzalez, ian desmond, jayson werth, jordan zimmerman, kurt suzuki, miami marlins, nationals roster 2013, new york mets, NL east, nlds, philadelphia phillies, rafael soriano, ross detwiler, ryan mattheus, ryan zimmerman, sandy leon, sean burnett, st louis cardinals, stephen lombardozzi, travis d'arnaud, tyler clippard, washington nationals, Wilson Ramos. Bookmark the permalink. Leave a comment.